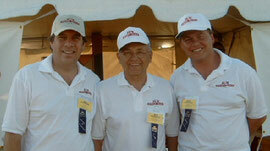 About Team Mini-Max - Team Mini-Max, The World's Best Ultralight and Light Plane Kits and Plans. Wayne Ison. Click to watch his "Timeless Voices" interview. The history of Mini-Max starts with the vision of Wayne Ison, a pioneer in the homebuilt aircraft business and Experimental Aircraft Association Ultralight Hall of Fame member. As the experimental aircraft movement progressed Wayne saw planes becoming bigger, faster, more complicated and more expensive. 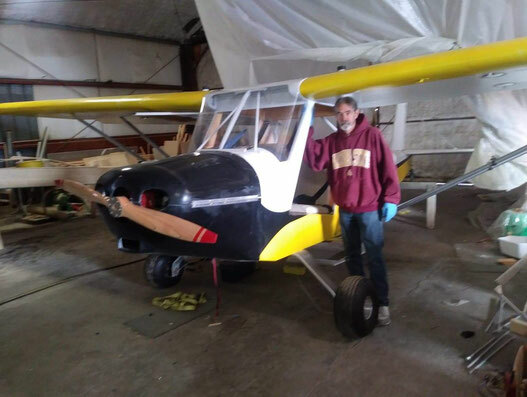 He thought pilots might be interested in a simple inexpensive airplane that was easy to build and fun to fly. 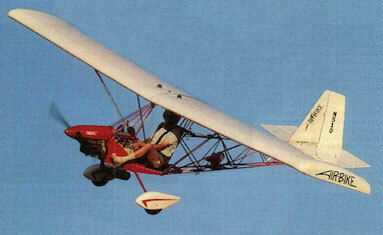 So he designed the PDQ and later the PDQ 2, a very basic single-seat aircraft with a pusher engine. 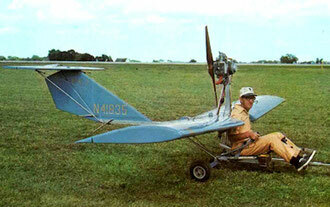 This innovative design was ahead of it's time, flying well before the FAA released it's Part 103 Ultralight regulations. After some more careful study Wayne determined a traditional tractor engine design would be safer, and a wood & fabric structure had the highest strength to weight ratio. He developed a few early designs for Fisher Aircraft before starting out on his own. Wayne had a vision for a very simple, easy to build, fun to fly aircraft with a strut-braced mid wing and a very light 2-cycle single cylinder engine up front. He worked with test pilot Lowell Farrand and others, fine-tuning the design until they had the prototype Mini-Max, very similar to the 1100R flying today. It's boxy design was very simple to build and it flew great. It had no bad manners and did exactly what the the pilot asked of it. Ison Aircraft started selling plans and kits, which proved to be quite popular when word got out about how great these little planes flew. The company soon expanded and became TEAM (Tennessee Engineering And Manufacturing) Aircraft. They developed new models, including the Mini-Max 103 ultralight, open and closed cockpit "Sport" models, the high-wing Hi-Max and the VW-powered V-Max. All these aircraft shared a few things in common: wood and fabric construction, simple to build and fun to fly. TEAM Member Larry Isreal developed the Eros. With it powerful fully cowled engine, attractive canopy and turtledeck, wingtips wheel pants and other quality details, it became the flagship of the company, for pilots wanting a little more than the basic Mini-Max. 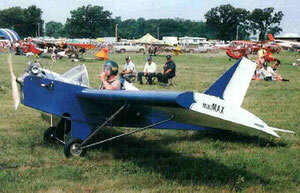 Later Wayne added a welded open steel fuselage to the standard wing and tail and the AirBike was born. This open-air design proved to be quit popular, so they developed the 2 (very snug) seat Tandem AirBike. The AirBikes sold very well, and like the entire Mini-Max product line, had an excellent safety record. Unfortunately one pilot crashed his Airbike and sued the company, claiming the aircraft had a design flaw. Of course TEAM Mini-Max won the lawsuit by proving the AirBike structure is designed to meet or exceed all published design loads. However the plaintiff filed again and Wayne thought it was about time to retire so he sold the company (minus the Airbike line). In 2003 John Graber, David Trump and Thinus Debeer bought the company and renamed it "JDT Mini-Max" after their first names. Eventually Thinus left the group to pursue other business interests. 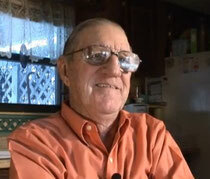 John, based in the Nappanee, IN airport, was responsible for customer service, fabrication and packing kit orders. David provided capital and R&D in Tasmania, Australia. 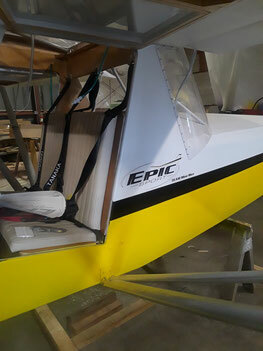 One of the projects started by Wayne and continued by the JDT group was an all-wood open-air plane, similar to the AirBike. The new AeroMax is unique not only in how it looks but also in how the parts are manufactured. Using a CNC Laser, the plywood parts are precisely cut to within a few thousands of an inch, and laser-marked with the part number, orientation and mating fasteners. Flight testing has shown the new AeroMax is just as much fun to fly as the old Airbike. John Graber made a lot of friends over the years and helped a lot of customers, but decided it was time to retire in the summer of 2012. Then David Trump reorganized the company into a lean manufacturing organization, with some new people: Andrew Mackey to help with management, Kevin Thorp for graphics and web design. There are some familiar names on the new Team: Lowel Farrand and Larry Isreal will provide builder support. Those of you who frequent the Lonesome Buzzards forum will recognize Phill Knox, responsible for metal fabrication and laser-cutting, and David "theecoop" Cooper, in charge of day-to-day operations (receiving, cutting stock crating kits, shipping) in the new Niles, Michigan location. David Trump is still in charge of R&D, working with lead engineer David Kyle from their facility in Australia. David's brother Frank Trump runs our sales office in New Zealand and Kerry-Lee Krige, based in South Africa, helps with marketing. On his business travels to China David noted a budding aircraft homebuilding movement. This led to the opening of Mini-Max China, headed by Byron Trump and James Yan. The new organization has quite an international flavor, but the primary focus is in the USA, where we started and where the majority of our customers are. Our new company name is "Team Mini-Max LLC", chosen because of the worldwide team and as an homage Wayne Ison's original team. Our focus is to keep producing great little planes that for a Minimum cost provide Maximum enjoyment!